A woman’s quest to discover her father’s legacy uncovers the history of Oregon’s Black loggers. The ordinary building in the heart of Oregon's first arts and cultural district is easy to overlook amongst the life-sized bronze sculptures, thriving art galleries, and busy restaurants, whose aromas beckon your detour along Joseph's downtown Main Street. But to Gwendolyn Trice, the founding executive director of the Maxville Heritage Interpretive Center, this place houses the heirlooms she holds most dear. On an early July afternoon, the public museum is closed. So, Trice discreetly pushes the code to bid her entry. She immediately begins pointing at things behind glass walled cabinets and picking up artifacts to explain their function. "That ukelin belonged to my dad," Trice notes, gesturing to a small instrument that looks like a cross between a violin and a ukelele. She calls attention to the plugless iron, which had been heated on her grandmother's wood-fed stove, and the wire container where raw popcorn kernels danced over an open campfire flame. In this sacred space are the long-ago reflections that justify Trice staking claim in this Northeastern Oregon town, where the scenic wilderness is lush and unspoiled. It is here that Trice—a Black woman in a sea of conservative white faces who live engulfed by white snowcapped mountains—has finally found belonging in the dusty soil engraved with her father's footsteps. Gwen Trice, executive director and curator of the Maxville Heritage Interpretive Center, points out a document on display at the Center that lists the Black families (including hers) who traveled to work at the Maxville logging community in Wallowa County, Oregon, and their originating locations (primarily in the Jim Crow South). 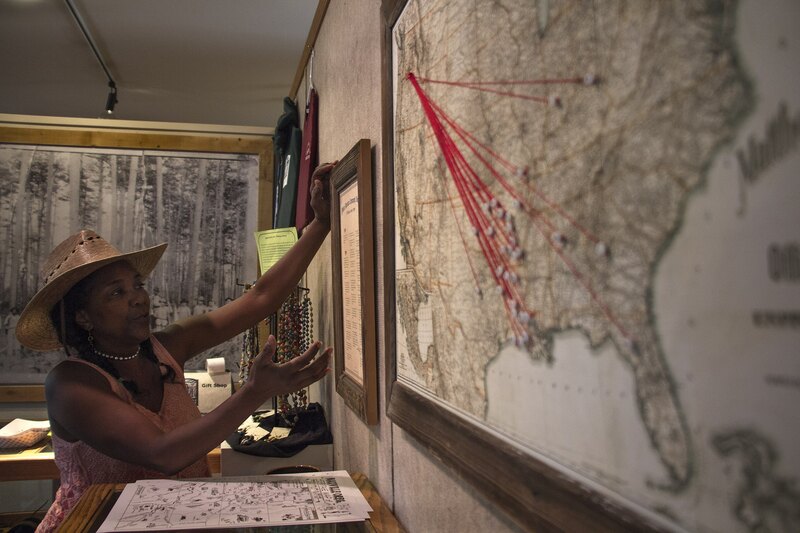 A map in the foreground uses red twine to trace their journeys across the continent to become some of the first Black residents of Oregon, a state founded with the intention of excluding Black people. "Nobody talked about it," Trice says about Maxville's multiethnic biography. "If I hadn't started this [center], the history would be gone." In its day, Maxville was one of the largest towns in Wallowa County. It was named after one of the logging superintendents out of the South. It was constructed in stages in 1923 in a remote meadow to the west of Promise Road and south of Bishop Creek. The unincorporated settlement, built by Bowman-Hicks Lumber Company, staked its claim on the land during a troublous period in Oregon history. At that time, the then-rapidly growing Ku Klux Klan was openly holding initiations in public squares, and the Oregon constitution forbade Black people from living, working, or owning property in the state, though that law was not widely enforced. Though the exclusion clause of Oregon’s constitution wasn't repealed until 1926, Bowman-Hicks ignored this state's racial allegiance and recruited experienced white and Black loggers from around the country. Most of the hundreds of white workers traveled from the deep South and Midwest, as well as parts of Oregon. Most of the sixty or so Black loggers came from Arkansas, Mississippi, or Louisiana, where Bowman-Hicks was already operating timber mills. In 1923, Trice's father, Lafayette Trice, came to Maxville from Pine Bluff, Arkansas, with his father, Arthur, and younger brother, George. At the time, Lafayette was only nineteen, and, based on Trice's research of her genealogy, was the great-grandson of a “mulatto” slave named Morris Trice. "A lot of colored families were looking for work and they brought people with them,” explains Trice's older brother, Arthur, who was named after his grandfather. "You know how word of mouth goes. At one point, you have ten, then you have twenty." A quote on the back of this educational token available at the Maxville Heritage Interpretive Center says, "Those Maxville Days sure were different. It was 1923 and I was barely 19. One thing was immediately clear, I was one of the first colored boys to set foot in Wallowa County. We came by boxcar, my father, Arthur 'Peg' Trice, and I. He worked on train engines while my brother and I earned our living as a log loader and a sawyer." The secluded logging camp was arranged in neat rows with the social gathering spots, such as schools and the company-run commissary, surrounding the housing like a hula hoop. The town was unusual in that it allowed families. Single men slept in bunkhouses that were separated from the two-bedroom cabins for married couples. The town also had its own post office; medical clinic; blacksmith; eighty-room hotel with an expansive dining room; and a large horse barn that held seventeen work-horse teams and several large wagons. Trice's grandfather worked in the barn. Folks nicknamed him "Peg" because a wooden leg replaced one of his legs lost in a logging accident. 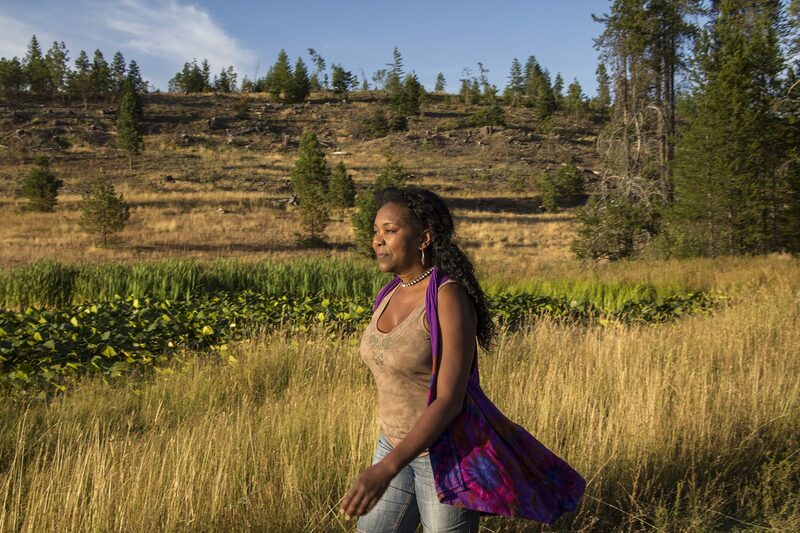 Though Bowman-Hicks defiantly introduced that part of isolated, rural Oregon to some of the first Black people it had ever seen, the company still adhered to the South's Jim Crow practices. Blacks lived in the northeastern edge of Maxville across the railroad tracks from white families. Both the baseball field and the swimming hole, made from a dammed-up stream, were located near the white part of town. The schools and baseball teams were segregated, too. "The adjustments that were made by the minorities there were that you did what you were supposed to do," says Ester Wilfong Jr. His father was also a logger from Arkansas who worked for Bowman-Hicks in Maxville and Wallowa, about fifteen miles south. He was interviewed in the 2009 Oregon Public Broadcasting documentary film called The Logger's Daughter, about Trice's rediscovery of Maxville. "Keep your mouth closed and not step out of line and you would get along fairly well," Wilfong says. The types of logging jobs—and the pay scale—were generally assigned based on race, with whites more likely working as section foremen, tree toppers, and truck drivers, and Greek immigrants working as bridge builders. Most of the hands-on jobs—such as log cutters, section hands, tong hookers, and log loaders—were the more difficult and dangerous. "All that logging was tough business," Arthur Trice says. "Back in the day, you logged day in and day out. It was a pretty dangerous job. It was all manpower; all by hand." The work was hard, and so was the living. Most of the houses lacked electricity and indoor plumbing; the families accessed water through an outdoor pump connected to a nearby spring. Residents also endured a generous visitation of blood-sucking bedbugs; mud in the spring and fall; and in the winter, snow storms and winter temperatures that dipped below minus twenty degrees. Death was also a regular visitor to Maxville, whether one's life ended under a felled tree, from diphtheria, or by accidentally being shot by a hunter. Already burdened with the hardships of work and weather, Black loggers were also physiologically and psychologically suffering under discriminatory practices. Black workers were paid less, though it was more than what they were paid in the South. And they were expected to routinely defer to their Southern-bred neighbors and coworkers. In a 1978 newspaper interview, Trice's father shared this 1925 trauma-inducing flashback: "I remember the night the Ku Klux Klan came to Maxville. Our boss de-hooded the leader and said, 'Don't come back here ever again.' And they never did. We'd see their crosses and fires burning sometimes, but they never came near us." To build community, Blacks organized picnics to support Maxville's Colored Giants baseball team; or went to church in La Grande when a visiting Black preacher would be passing through; or held Saturday night card parties. 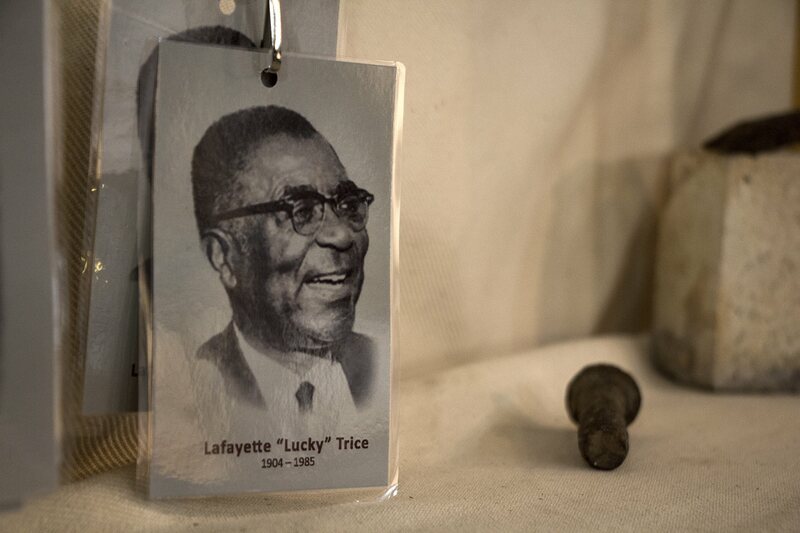 In fact, Lafayette Trice earned the nickname "Lucky" because he was so skilled at getting winning hands. 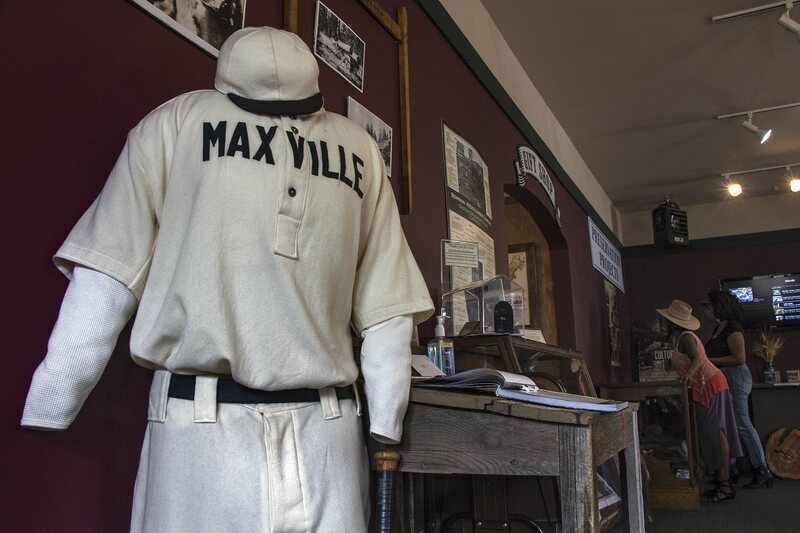 A uniform used by the segregated Maxville baseball team on display at the Maxville Heritage Center in Joseph, Oregon. Fraternizing between the races was inevitable but limited. The single Black men who did want to get married generally hooked up with family members of fellow Black loggers. According to the 1930s Census, by the time Lucky was in his mid-twenties, he had married a woman named Nellie from Louisiana, his first of three wives. 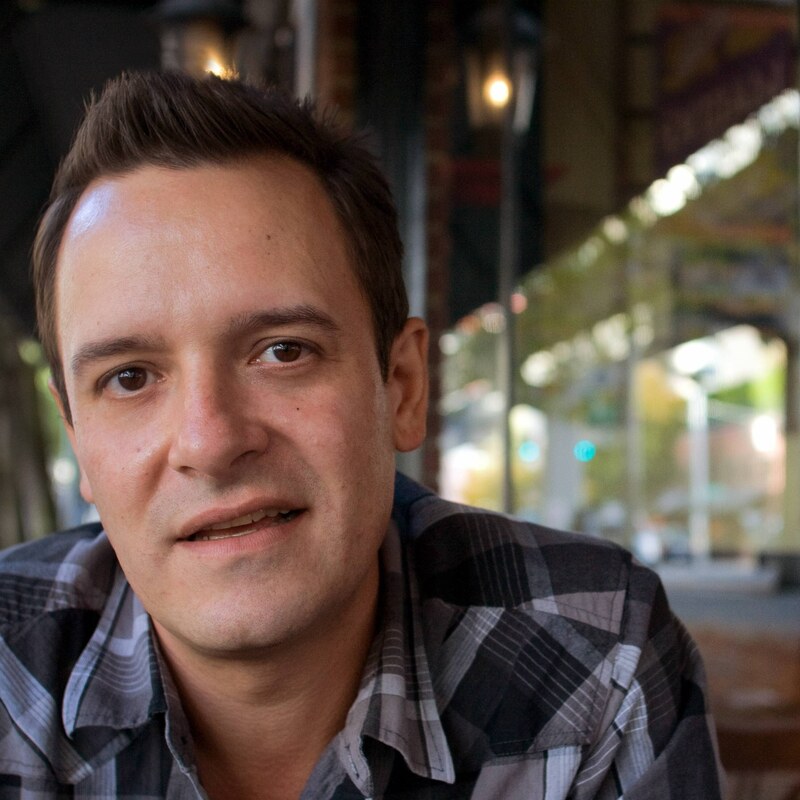 "Oh, there was no dating," Wilfong says in his 2009 interview with OPB. "If it was dating, it was on the side that nobody knew about, and the after-hours kind of thing that you have to sneak around to do because those were the white girls. There weren’t that many African American girls there." As the timber market slowed in 1930, Bowman-Hicks started dismantling the train tracks and moving some of the tumbledown cabins to Wallowa. When Maxville officially shut down in 1933, Trice's father, then in his early thirties, moved to La Grande, a thirty-eight-mile drive southwest of Maxville, where his mother lived. And he also lived for a time in Baker City, where he drove a logging truck. After Lucky joined the military and served in World War II, he met Dorothy Johnson, a seventeen-year-old from Valdosta, Georgia, who was living in a dinky Central Florida town with her mother. In the winter of 1945, Lucky moved back to La Grande and sent for his soon-to-be bride, who would become his third wife. There was a twenty-two-year age difference between them. "It was the longest train ride I had ever been on," remembers Dorothy Trice, who is now ninety-one. "It was different and I guess it was exciting because the man was telling me a lot of stories about Oregon. And, at that age, I was believing everything he said,” she says of Lucky. By the time his new bride arrived in La Grande, Lucky was already a successful businessman with a downtown shoe shop he bought from a Greek entrepreneur. He also cleaned hats and sold cigarettes at his storefront and did janitorial work on the side for office buildings and businesses. Eventually, he started a furnace cleaning company and other entrepreneurial enterprises that catered to white customers. Initially, his wife financially contributed to the household by working as a maid. "There was just hardly any Black folks here, so I don't know how long I was here before I was working; doing housework for a white woman," Dorothy Trice says. "You know, I didn't know anything about cleaning a bathtub because we didn't have a bathtub; we had a tin tub." After their first child was stillborn, Lucky and Dorothy Trice conceived five boys and two girls, starting in 1948. Lucky was forty-five when the first child, Lafayette Trice Jr. was born, and fifty-six when Gwen Trice entered the world. All of his children and his wife were expected to participate in the various businesses. "He wasn't afraid of work," Dorothy Trice explains. "His kids, they all knew about working. We all worked." On his downtime, Lucky loved to hunt and fish, so his family's dinner table included elk, pheasant and crappie fish. "We had plenty of food to eat," she says. 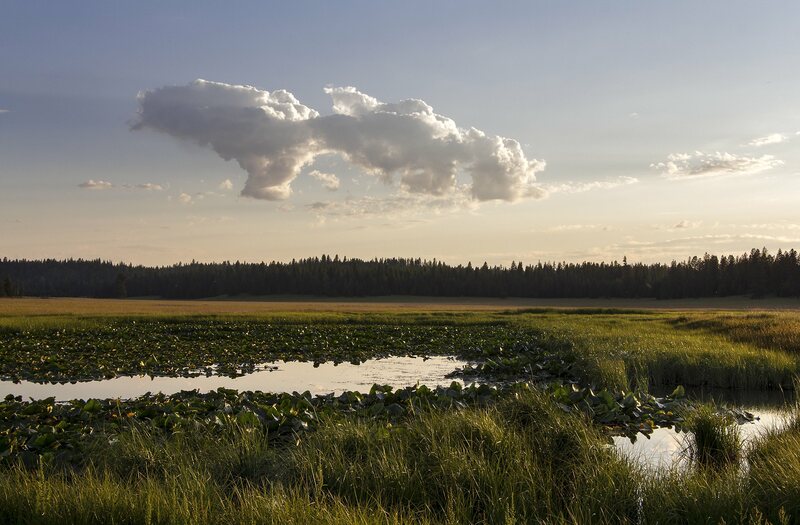 A spring in the expansive forest meadow at the Maxville site feeds the remains of series of dammed ponds used for steam powered logging and milling equipment. In a fishbowl of a small town during a time when bigger cities were grappling with racial unrest, Black people in La Grande were tolerated, as long as they didn't challenge the status quo. Notes Trice: "Blacks lived here as long as they didn't exist." Lucky, though, was charismatic, visible and actively involved in the white community. He served as an American Legion district commander and was also active in the Rotary and Masonic Lodge and was a pilot for the Civil Air Patrol. He also was recognized for helping the US Army Corps of Engineers and Nez Perce Tribe establish the Lookingglass Hatchery, which raises spring Chinook salmon, in Elgin. Possessing an affable and persuasive temperament, Lucky was called upon by whites and Blacks to mediate in challenging situations. "Dad kept a lid on things," Trice says. "We couldn't stay here and stay alive if we acted out. If Blacks became too fractious, it would call attention to the whole (Black) community." As Lucky was so well-connected, he learned that a fellow business owner—a white woman who ran a brothel—needed more help managing her responsibilities. So, in 1953, Lucky sent for his wife's mother, Grotis Smith, to move from Florida to Eastern Oregon to take the job in what Dorothy Trice called "a sporting house." "She didn't do the bed work," Dorothy Trice clarifies, "she did the feeding and the washing and different things." After years of earning a living in Florida by picking beans, Smith—who also did cleaning chores for a local attorney—bought and rented out homes in La Grande to white women or family members. "She must have had six or seven shacks," Dorothy Trice says. "She would fix them up and rent them out. It wasn't an easy thing." Over the decades before he died in 1985, Lucky provided his family with a stable existence. He was also able to buy a couple houses in La Grande because the previous owners knew him personally. Dorothy Trice has lived in the same house for more than sixty years. Their son Arthur lives three houses down. Another son, Doug, also still lives in La Grande. Her other children live in Seattle, Spokane, and Kansas. After her husband passed, Dorothy Trice, who hadn't made it past the eighth grade, went to school and got her GED. When her energy holds up, she volunteers at a nearby nursing home. She is also the oldest member of her Baptist congregation, which has only a handful of other Black attendees. When questioned why she has stayed so long in a small town with so few Black people, her response is, "You just do your thing. Everybody is not going to make you feel good at all places anywhere." Gwen Trice, however, says she never felt like she fit in. She felt silenced and invisible, so she left Oregon for Seattle as soon as she graduated from high school. After a twenty-year career at Boeing, Trice returned to school to study filmmaking and theater. She says it was a line from a Black play she was cast in—"Who is your father and your father's father? Say their name"—that got her attention. She says the play, which addressed the ongoing effects of slavery, segregation, and Jim Crow on Black people, made her want to understand more about her father's life path. Gwen Trice, daughter of Maxville resident "Lucky" Trice, walks through the Maxville site on a summer evening sharing the story of the bustling village found here during the early twentieth-century logging days of Oregon. The hillside behind her shows the stumps of recently harvested timber and the replanted regrowth that follows, a telling reminder of what first brought Gwen's family to this remote part of Oregon in the 1920s. "It took me back," Trice says. "It turned me around and changed my life." As Lucky rarely talked to his children about his experience in Maxville, Trice says she didn't find out her father was part of Oregon's logging history until 2003 when details of his earlier life leaked out of casual conversations. With her training in theater and filmmaking, Trice went on a multimedia quest to discover her roots, starting at a reunion of white homesteaders in Wallowa County. Over the years, she videotaped dozens of hours of interviews with residents who had grown up in the area to see if they might remember her father or their life in Maxville. She ended up hearing stories that made her curious to learn even more. "I just knew I needed to record these voices and I needed to have their stories in a permanent spot," she says. "So, I just started talking and asking questions and visiting people." Ten years ago, Trice moved back to the place where she never felt completely at home in order to create space for her father's legacy. The Maxville Heritage Interpretive Center officially opened as a nonprofit in 2008. Since then, descendants of Maxville residents all over the country have brought their offerings of artifacts and reminiscences to Trice, like she was a priest hearing confessions. In 2015, the eldest daughter of a Maxville family endured a ruptured spleen on her travels from Virginia to Northeastern Oregon to visit Maxville. She then mailed an antique sideboard, her parents wedding gift that was built by a German immigrant, who was Maxville's carpenter. The cabinet was used to store aluminum pots that were donated by fellow loggers on the couple's wedding day. Trice has created space in the center to welcome each donation, from the yellowed newspaper clippings and photos to the donated 1931 Sheik condom container to the chunks of someone's log walls whose gaps were filled by torn baby blankets. Through grants and community partnerships, Trice helped save the only remaining Maxville structure from being demolished. The large wooden building served as a social center for Maxville residents and visiting dignitaries. And she was able to interview Maxville's last living Black logger, Alvin Marsh, in Lancaster, Texas, before he died in 2009 at age ninety-two. Each summer, Trice and a bundle of volunteers organize the family-friendly Maxville Gathering, where attendees witness ax throwing, mule log skidding, and crosscut sawing, and participate in potato sack races and egg tosses. 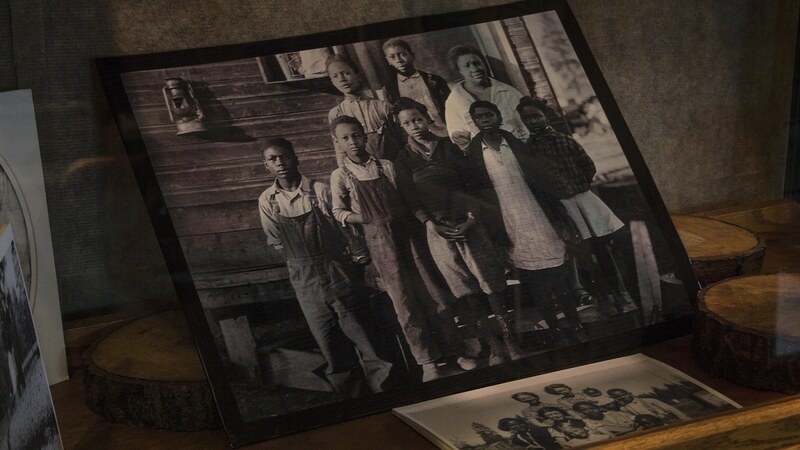 These community-building efforts—which harken back to Maxville's nearly forgotten history—are intended to remind people of what life was like in the woods, where Blacks and whites had to depend on one another to survive. 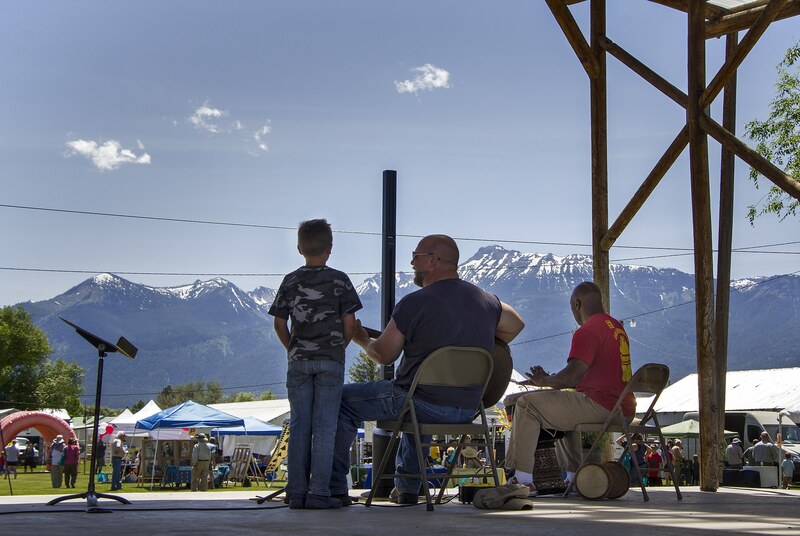 Musicians play on the stage during the 2017 Maxville Heritage and Watershed Festival at the Wallowa County Fairgrounds in Enterprise, Oregon. "We connect folks who don't look like me to the same story," Trice says. "At the end of the time, they're weeping and hugging and leaving a little bit of money." The retelling done at the Maxville Heritage Interpretive Center makes sure everyone belongs and that each cultural contribution is valued, not just whites whose photos and written histories reflected their own perspectives. At Trice's center, the storytelling bears witness to the Black loggers of Maxville; the Chinese laborers who helped build the Wallowa County railroad tracks; the Japanese immigrants who removed tree stumps and helped cleared the land for the logging and farming industries; the Greek immigrants who helped build and maintain the railroad and trestles; and the Nez Perce tribal members who were forced off land where they hunted, fished, and grazed their horses for generations to make way for white homesteaders who later sold that same land to timber barons. "It's about everybody," Trice says. "I want to create a story of Oregon history to help change the course of young people's lives and how they interpret their potential." In late June, Trice's only child, Jordon, who lives in Reno, brought his ten-year-old son and his longtime girlfriend for a weekend family camping trip on wooded private property close to Maxville. He hasn't spent much time in La Grande and had never been to the Maxville site. "You walk in and say it's a small town, but there's a lot of history here," he acknowledges. "I just don't know that much about it." Dorothy Trice also says she doesn't know much about Maxville. Her memories of her husband Lucky are focused on the life they built together in La Grande. "Everybody knew him and respected him," she says. "That's the part that I know. So, that Maxville part, well, that was before I met him." Trice is patient, though. It took her several decades as an adult to become aware enough to reach back and rummage through her family history. She then used this knowledge to sever the limbs of internalized oppression scraping at her core so she could build her own bridge to her truth. Her soulful quest started with a question intended to help establish one's identity: Who is your father and your father's father? Say their name. The answer changed everything for her. It brought Trice to Maxville, where she found her voice and her life purpose. "The connection to the land," she concludes, "begins with a connection to yourself." 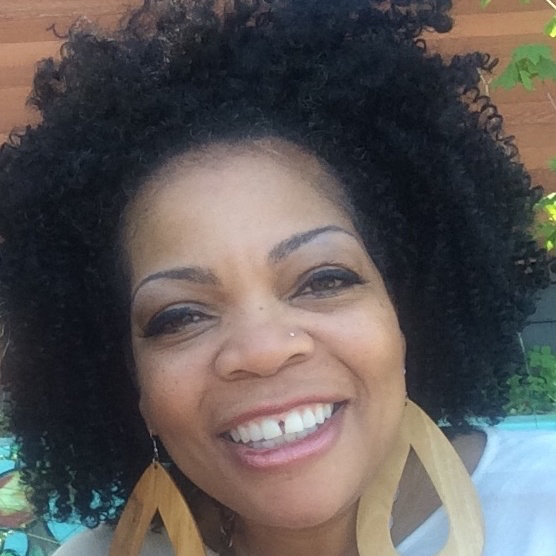 S. Renee Mitchell is an award-winning journalist turned artist, who expresses herself through poetry, storytelling, grant writing, teaching, and creating multimedia experiences. Renee spent twenty-five years as a newspaper journalist in Seattle, Orlando, and Detroit, among other cities, and is most known locally for her years as a Metro columnist for the Oregonian, where she was nominated twice for the Pulitzer Prize. Such a beautifully written piece about a history that might have been lost! And Joe's photos are evocative and lovely! We all have a story. Thanks to Renee Mitchell for introducing me to Gwen Trice's Maxville family heritage and narrative. Renee, what a lovely piece of work you've made, bringing history to life while creating an important record. Thank you! Beautifully written and photographed. What an amazing tribute to the legacy of black Oregonians. The story now lives forever here.